Anthony is lost in the woods again while Isobel and I spend the day at home riding Zorro (her) and catching up on laundry (me). Also I’m going to try not to think about the possibility of my husband being eaten by a Sasquatch. 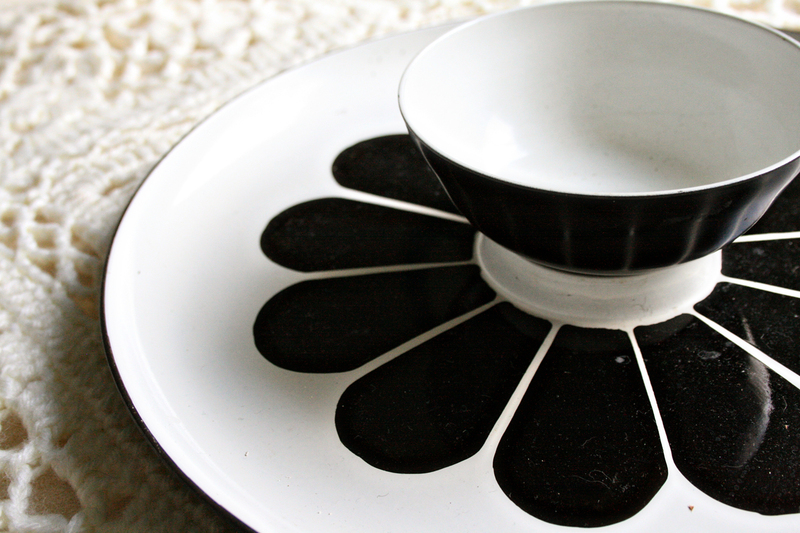 This set is all kinds of vintage wonderfulness, perfect for a dinner of crudités with the family or appetizers at a party. UPDATE! 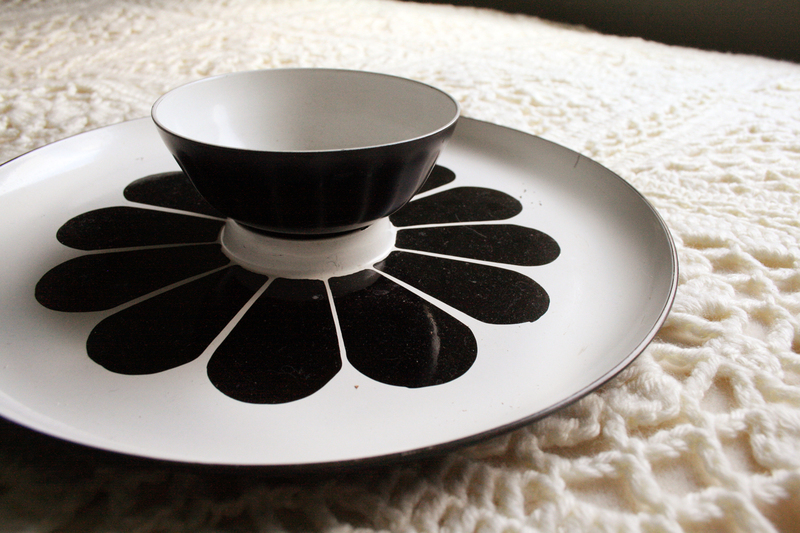 The Daisy Tray has been added to my shop. This is exactly the type of vintage servingwear I love to bust out at dinner parties. Also, I love to have dinner parties and think they deserve a comeback. I’ll be adding it to the shop soon. What a fabulous platter! Just checked out your shop & will definitely have to keep an eye on your finds. I wish I had seen your apple platter before I bought a Pfaltzgraff pear bowl. I do, too! 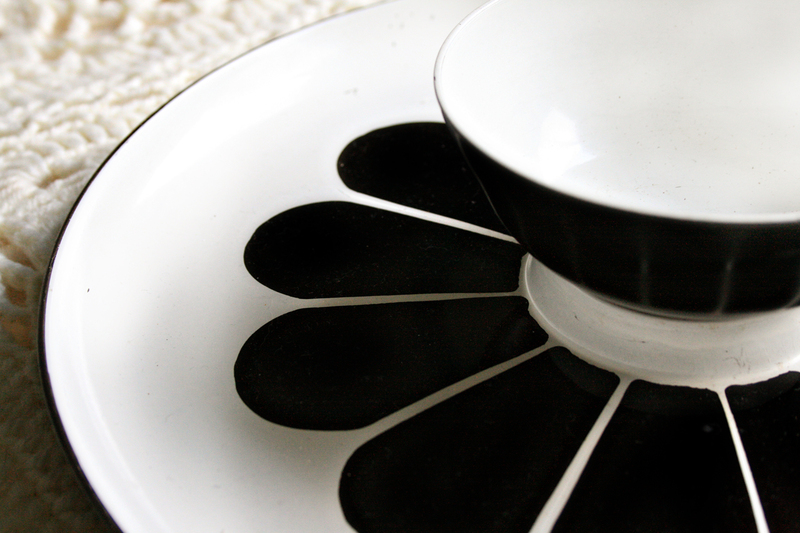 I especially love that platter and want it to go to a good home. Very nice! I can see it filled with guac. Yes! I was thinking guac, too. I want to have dinner parties when my house is done! Your house sounds fabulous already. I bet you’ll have some awesome parties.